Visual novels are a different kind of beast. They straddle the line between deserving to be reviewed on a video game site and on some sort of book review site. Many popular visual novels, such as the Phoenix Wright series, allow a player to help the story along, be it finding vital clues or unraveling a mystery. By and large, though, these games do tend to tell a story that has a defined finale. While your choices do direct the story at times, they are all means to an end. The key drive in these kind of games is the story, although a solid gameplay experience does make the title all the more appealing. 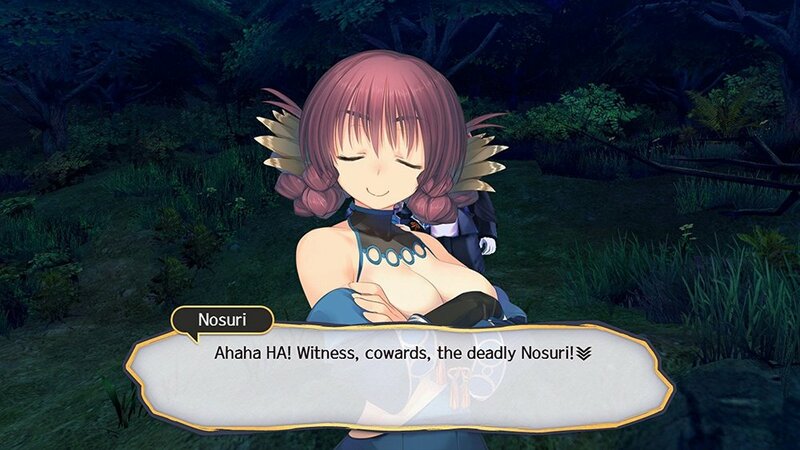 Utawarerumono: Mask of Truth does not shy away from it's visual novel roots, almost to a fault due to the advertising I've seen personally. As noted in the trailer below, there are beautiful anime cutscenes and tactical RPG battles, but most of your time will be witnessing a story unfold via voiceovers, text, and static artwork of anime characters with a few different poses and facial expressions. When I find the game on Amazon or other retail websites, most all of the available screenshots show the tactical RPG section, when it is quite literally a small part of the gameplay experience. In my time with the game, I've spent entire sessions of time with the title not even touching the controller, putting the game in auto play, and perhaps choosing which of four scenes to go to next, but still needing to see all four prior to going to the next area. My first battle was 45 minutes in, and my second an hour after that. The game has a story to tell, and it's going to tell it. It does a wonderful job of telling it too, with rich Japanese voices reading out all but thoughts in people's heads. Care was definitely put into this title by a group of people excited to share what they have to offer. It's hard to explain the storyline to a game like this in a review, as even from the beginning there are big spoilers ahead. 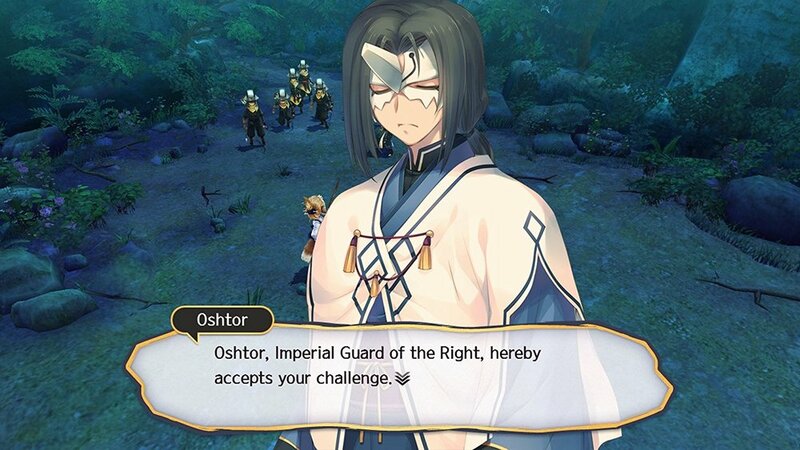 Mask of Truth is a sequel to a game that just came out in May, Utawarerumono, Mask of Deception. Utawarerumono (translated to The One Being Sung) is a series based around a character who is found in a forest by a young lady who takes him in. In the most traditional of anime tropes, he turns out to be more than they expected and helps save the day/world/etc. Mask of Truth starts off right after the last game. While there is a bit of recap, as well as a glossary that slowly but surely fills up, giving you information on the series it can be daunting for a newcomer. For those who played the first game six months ago, familiar faces return, old enemies rear their heads, and the battle for peace in the land continues. A lot of visual novels do rely on the reader's imagination, like a good book. You may see one of the traditional static pictures of a character on screen as it describes what they are doing to you. A few times a specialized scene will be crafted, but they will be static as well. Whether someone is described as running away from a furious beast or lying down in a bed near death, you are looking at the same static pictures. The game has a "slice of life" feel to it as well. Yes, there is an epic struggle between warring factions, but the storyline does take time to let a character visit his elderly mother and describe the process of cooking fish, and the troupe has a hunting party that you simply read about, when most games would use that as tutorial for the basic game mechanics. Characters spend time grieving the loss of a friend or discussing personal battle tactics. Sections involve mulling about the compound, going on routine walks with others and talking. I go deep into this to help you better understand: the strategy RPG elements are nice, but they definitely play second fiddle to the storyline. You might go hours watching story unfold before seeing a half hour of "gameplay." The SRPG elements are nice to have, but they've been done better in other titles. Perhaps I was spoiled by Final Fantasy Tactics, but story battles revolve around characters that are locked into the battle, with very little in the name of equipment to change. Attacks and defenses play out normally, with the ability to add critical damage with specific button presses. If you come across a battle that's too hard, you can go back and play previous battles to level up your characters, or go into a training mode, where your fellow teammates are randomly put on opposing teams in order to level everyone up simultaneously. Characters gain more attack power as they level, and you get bonus points to allocate to stats, but so far I haven't seen anything out of a staple SRPG, and victory means continuing with the story scenes again. The game does allow you to rewind freely, so if something goes haywire you don't have to throw yourself back to the beginning. Turns do feel stuttered, with having to hit X several times to get through all of the end-turn information. Plus, there are a few sound effects that are so simple and jarring I'd often stop to see if my cell phone was going off. I have a hard time deciding who the game should be advertising to, though. I'll be one of the first to admit that reviews on gaming websites such as ours boil down to advertisements: after all, you're here to see if the game is worth picking up. From the beginning, the series is a niche title. Not bothering translating the title to something "marketable" doesn't make Joe Consumer pick it up, it's really only attracting people who would like it in the first place. Also, this is a 100% storyline sequel to the first game released earlier this year, so gamers who enjoyed the first are already attracted to it. If you are reading my article as a jumping in point for the series, I can't help but send you back to Dennis' article on Mask of Deception, as you will enjoy this one much more after going through that 70 hour plus epic. Fans are already locked in, and new people have weeks of gaming on a title they can buy used now for cheaper before they get to this one, which could be used by that time as well. My review copy was on the PS4, with a Vita edition clocking in at $10 less, just like the original title. Drop down to the Vita edition to save $10 more on two separate titles, and you'll have saved enough money to pick up a used PlayStation TV, getting the exact same experience and a new way to play most of your Vita titles. While you don't get cross-buy, there is cross-save, but as I said, there is an option for the same experience having only bought one copy. I think the developers could get away with selling some sort of value two-pack of the entire storyline to new recruits. Perhaps we will see this in a bundled digital deal some day. True fans can even get a TV series/OVA compendium, much like how Final Fantasy XV's world got all the more rich thanks to the additional materials. Most reviews say play the games first, though. But again, while the game does warrant a high rating from my perspective, being very well polished and enthralling, it is absolutely not the best starting point. 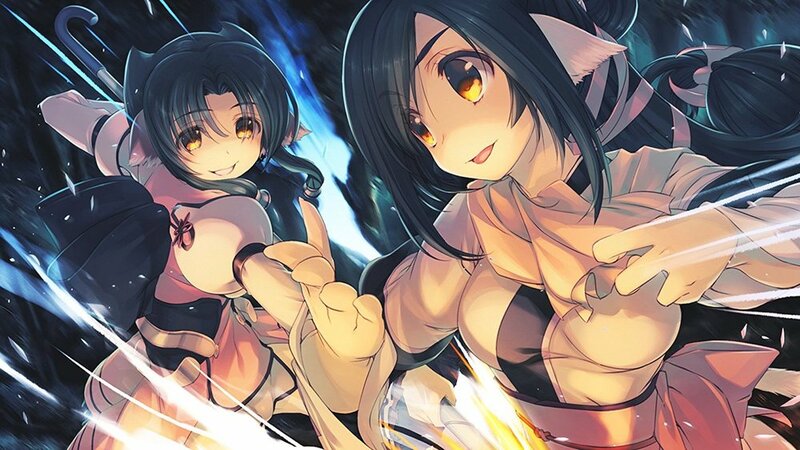 With excellent art, voice acting, and plot progression that makes you care about the minutiae of everyday life for a troupe of warriors, Utawarerumono is definitely a series that fans of anime, books and manga, or feudal Japanese culture will absolutely love. Going into it from a gameplay perspective might find you disappointed, as an average gameplay session might not even require you to touch a controller short of loading the game. Playing this on the PS4 seemed like an inconvenience to the rest of my family, like standing in front of them and reading a book they aren't interested in aloud. I feel it is perfectly at home on the Vita, where you can whip it out like a good book, but the title likely benefits from the PS4 edition existing thanks to the much larger user base. Mask of Truth wraps up the loose ends of Mask of Deception rather well, though the two should really end up as a packaged bundle before it's over with. Both titles provide you with an amazing value in terms of content, though the linearity kills replayability. Going into the game knowing exactly what to expect, a little imagination allows the wonderfully crafted story to truly flourish. Special thanks to Aquaplus and ATLUS for providing a copy for review. Extra Special Super Thanks to our very own Dennis Gagliardotto for his support during this review, as he was the one who got to review the original game.